Carol Gunsch, a Registered Nurse from Grand River Regional Cancer Centre is the very first de Souza Designate. Carol began working towards her de Souza Nurse Designation in 2008. After completing four credits from each of the four domains and a two week clinical fellowship, she was honoured with a plaque showcasing her specialization in 2012. She has devoted herself to furthering her oncology knowledge and completed her designation to help ease the experience for cancer patients while they went through the cancer journey. Carol is grateful for the guidance and mentorship that de Souza Institute has offered in helping enhance her existing clinical skills. 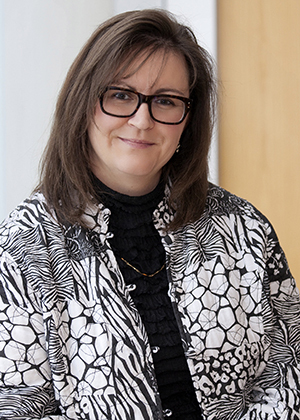 Carol has worked as a dedicated Nurse Navigator in the GI Diagnostic Assessment Program at Grand River Hospital in Kitchener, Ontario.